Rob focuses his practice on Intellectual Property matters. As a Registered Patent Attorney, the majority of Rob’s practice is spent on patent prosecution (which is the application process with the United States Patent & Trademark Office). However, Rob has handles a variety of matters, which include a wide array of trademarks, copyrights, and related Federal litigation matters. Rob helps small inventors and large corporations alike, and has clients based in the U.S. and abroad. Accordingly, Rob has handled IP matters in the U.S. and internationally, including China, Korea, Thailand, Malaysia, European Union, Australia, Canada, Panama, etc. Rob has connections with both local prototypers and manufacturers, as well as those abroad. If you need your invention made, Rob can help. 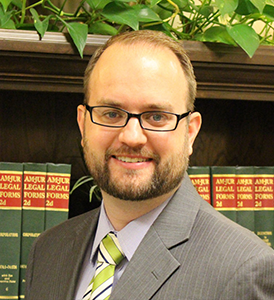 Prior to becoming a Partner with Gallian Welker & Beckstrom, Rob managed Gurr & Brande, PLLC. Prior to that, Rob ran his own practice, Gurr Law, PLLC. University of Utah S.J. Quinney College of Law , J.D.